Last May, we reported that on 40 tons of debris from the 2011 Tsunami that devastated coastal regions of Japan had washed up on Montague Island in Alaska’s Prince William Sound. Since then, trash has continued to land on Alaska’s beaches, and cleanup efforts have been sluggish at best. The trash could have a serious long-term effects on the environment, but the federal government has been slow to act, and little money has been devoted to cleaning up the beaches so far. 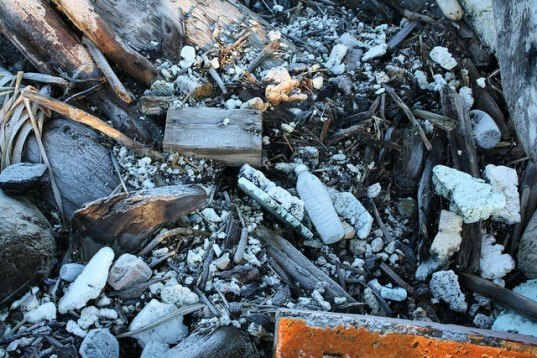 Speaking to NPR, Chris Pallister, president of Gulf of Alaska Keeper, said that standing on the beach of Montague Island is like “standing in a landfill,” as everything from Styrofoam packing peanuts to refrigerators has washed ashore. Birds and animals are eating the trash, according to Pallister, which could cause health problems. And there are also concerns about chemicals, as everything from kerosene to household cleaning products washes up, often in unlabeled containers. Despite the huge amount of debris currently blanketing Alaska’s beaches, the National Oceanic and Atmospheric Administration (NOAA) has only officially recorded five items in Alaska that came from the tsunami debris. That’s because NOAA will only confirm an object “if it has a unique identifier that can be traced back to Japan,” according to NPR. Meanwhile, Alaska’s congressmen have been working to secure funding to clean up the beaches, but so far they’ve been unsuccessful. Most recently, a bill that would have provided funding for tsunami cleanup was stripped from a bill devoted to Hurricane Sandy relief. The Royal Family along with other persons who have declared loyalty to Sealand have occupied Sealand ever since. The found court in the party bus and things pretty much went downhill from there. By controlling yourself you are switching off your neighbor. 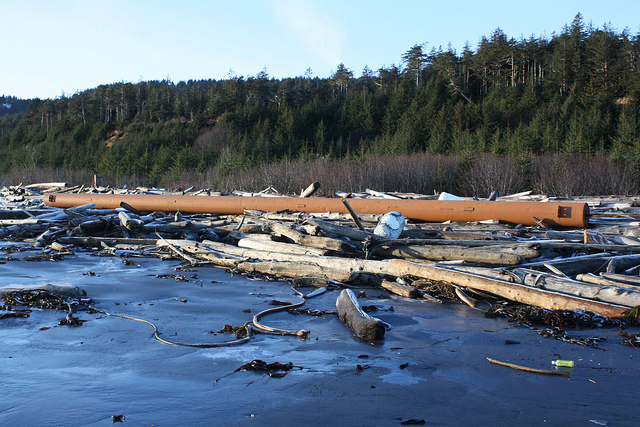 Last May, we reported that on 40 tons of debris from the 2011 Tsunami that devastated coastal regions of Japan had washed up on Montague Island in Alaska’s Prince William Sound. Since then, trash has continued to land on Alaska's beaches, and cleanup efforts have been sluggish at best. The trash could have a serious long-term effects on the environment, but the federal government has been slow to act, and little money has been devoted to cleaning up the beaches so far.